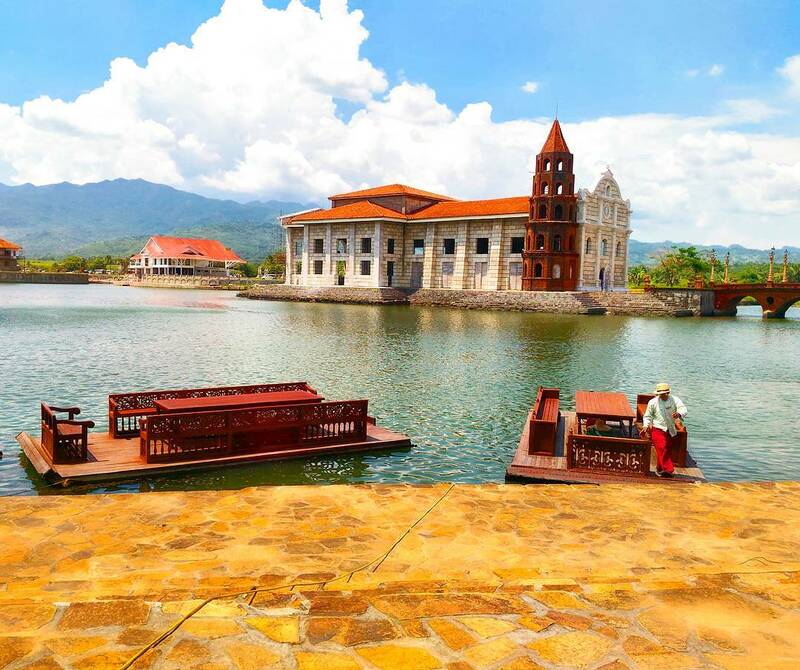 Las Casas Filipinas de Acuzar is a Spanish words meaning ‘The Philippine houses of Acuzar’. You might ask who is this Acuzar? Well, he is the owner of these Spanish mansions. His name is José “Gerry” Acuzar, owner of the New San Jose Builders who started to rebuild Spanish mansions in Bagac Bataan in 2003. So how this genius idea started? First of all, it started when they chose Philippine houses based on its historical, cultural and architectural value. They carefully replicated these houses in Las Casas to resemble it to the original structure. 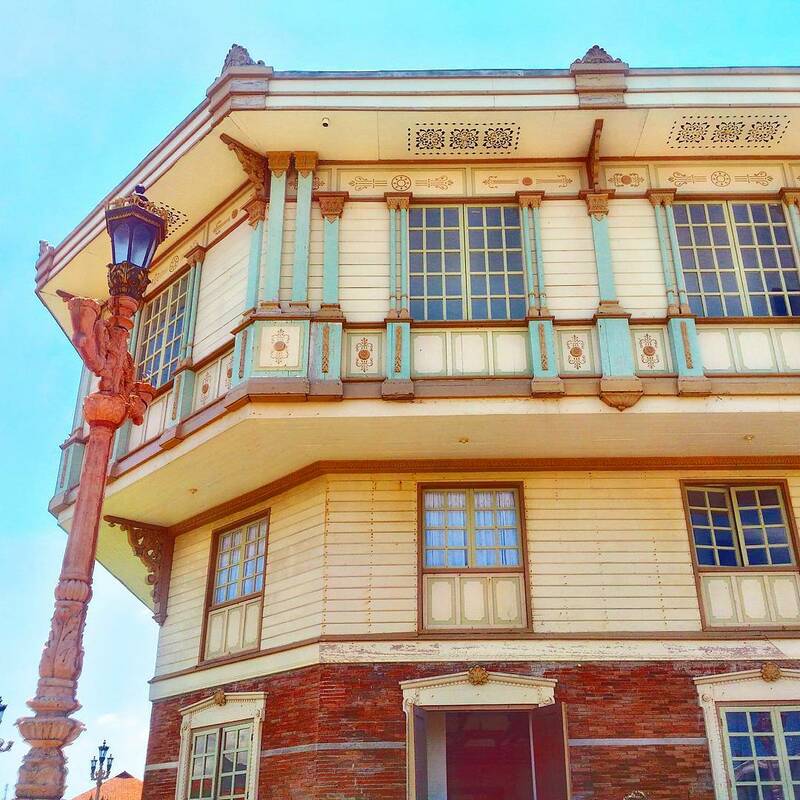 Meaning, the whole concept of this heritage park resort is to showcase the collection of ‘replica’ heritage houses in Bagac Bataan that you will find on different parts of the Philippines. 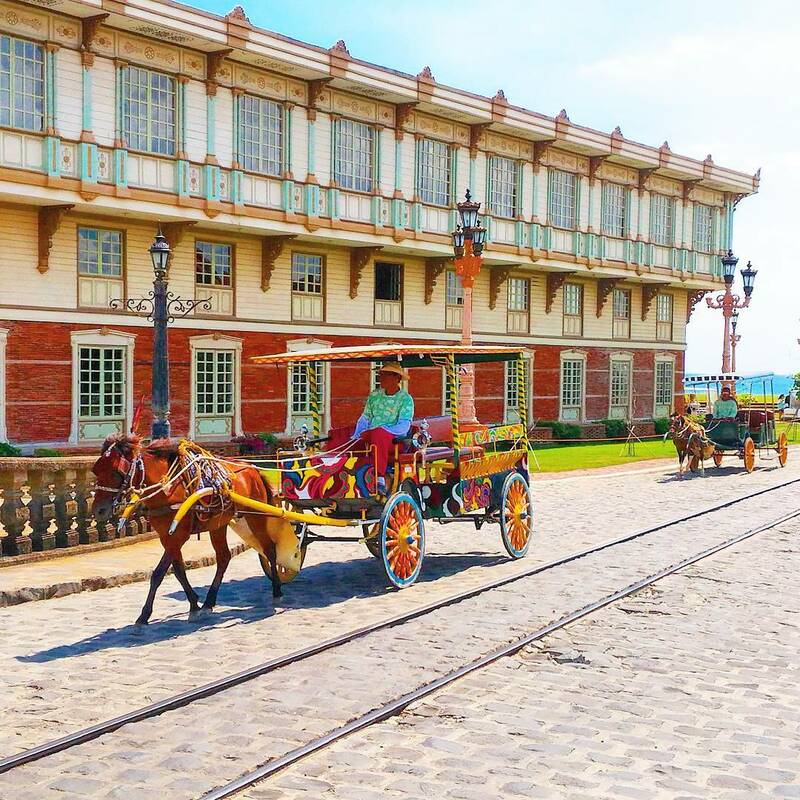 Though this is not originally a heritage place but a heritage ‘inspired’ place instead, visiting this place will give you a nostalgic feeling same as in Vigan City and Intramuros. In 2010, the heritage park was opened to public. Spread over 400 hectares, the park features a collection of 27 Spanish Colonial buildings. The resort has a restaurant, a beach, calesa rides and a swimming pool. It plans to have 50 such heritage houses. These are vintage design rafts with modern machines at the bottom of it. This is fast as the jet-ski. It cost 500 pesos each if you want to experience to sail. We drive from Quezon City to Bagac Bataan for about 3 hours. You can use Waze for proper directions. 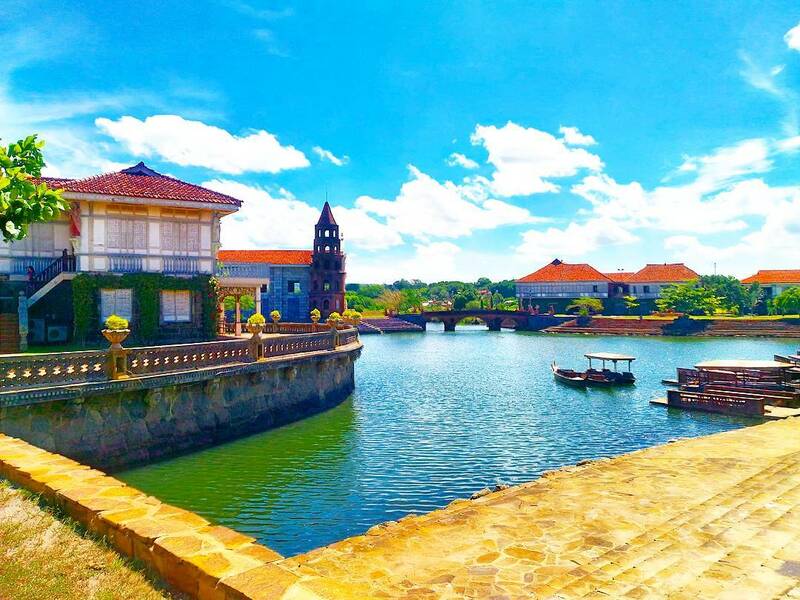 As far as I know, it cost 7,500 pesos per night for you to stay on any hotel in Las Casas Filipinas de Acuzar. Few meters from the entrance of the resort, you will see the row of hotel buildings. Each building has elegant and classic designs on it. The closer view of the hotel. 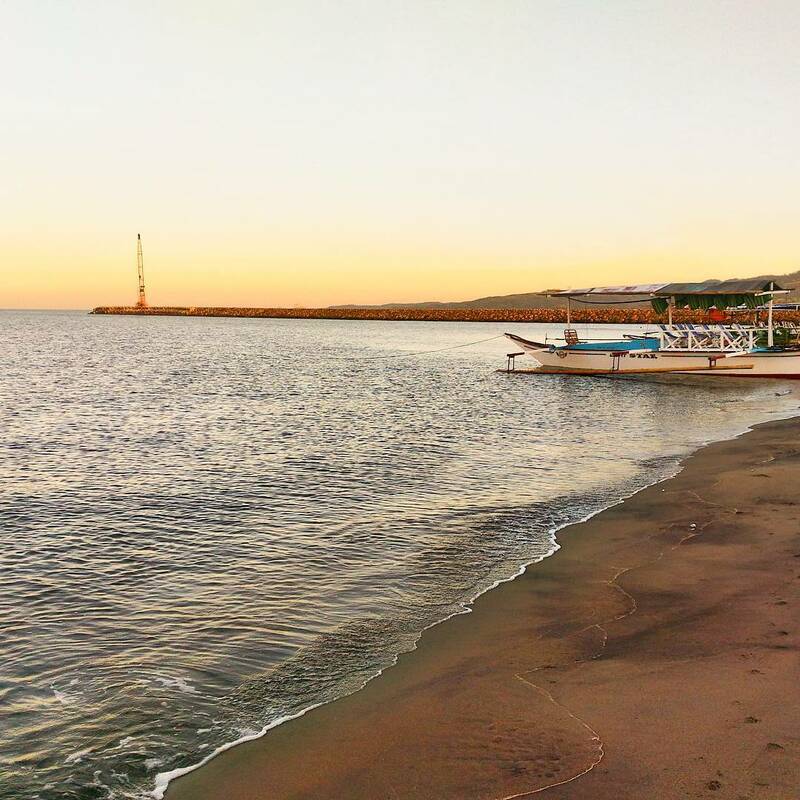 You will conveniently find the beach along Bagac Bay. The sand is not white and refined same as what is on Laiya Batangas and Saud Beach Pagudpud. 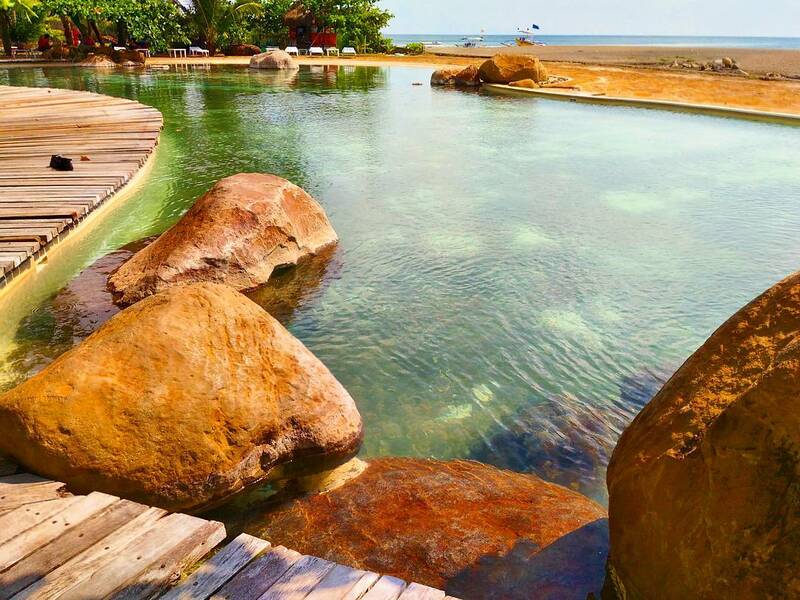 But despite of those things, you will still enjoy swimming here because of its great view and cool breeze. 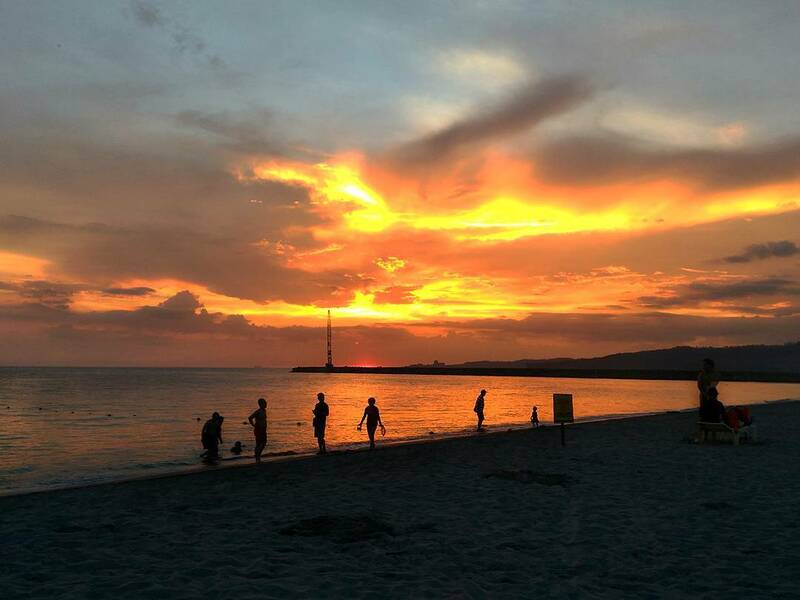 If you plan to swim, please don’t bring foods or drinks on the beach area since resort staffs are carefully maintaining the cleanliness of the beach. 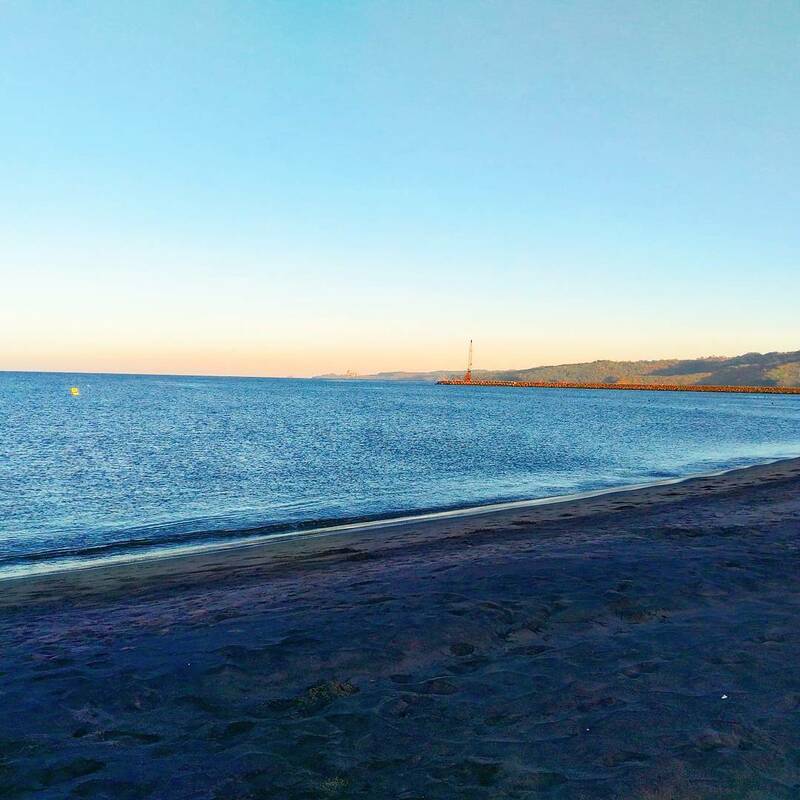 The view of the beach around 5 am during my morning walk at the sea shore. Hello sunrise! It’s around 6 am and tourists are now starting to swim on the beach. If swimming on the beach doesn’t make you feel comfortable, don’t worry because there is another option. You can swim on the old design swimming pool while enjoying the full view of the beach. What you will surely love about this swimming pool is it is not the modern or typical pools that you might know. It has some big rocks at each corner of the pool and some chopped woods for the floor behind. Perfectly an ‘Onsen’ inspired swimming pool, which is a natural hot spring is Japan. 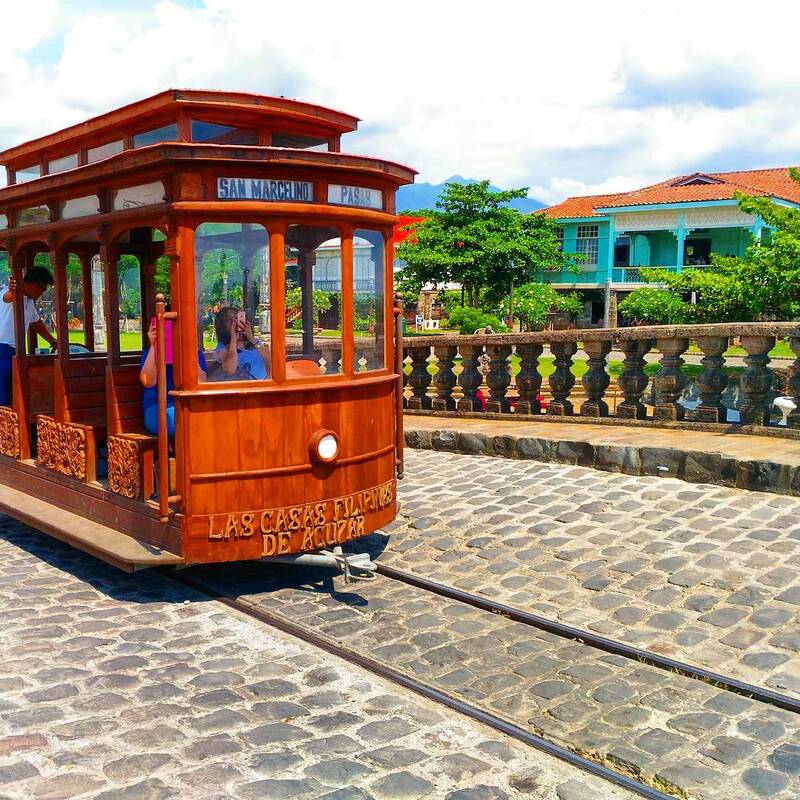 Las Casas has train and calesa on the vicinity of the resort. It serves as a free shuttle on the resort aside from the jeepney. But walking is much better because you will got a chance to check the whole place. And besides, it is an exercise. 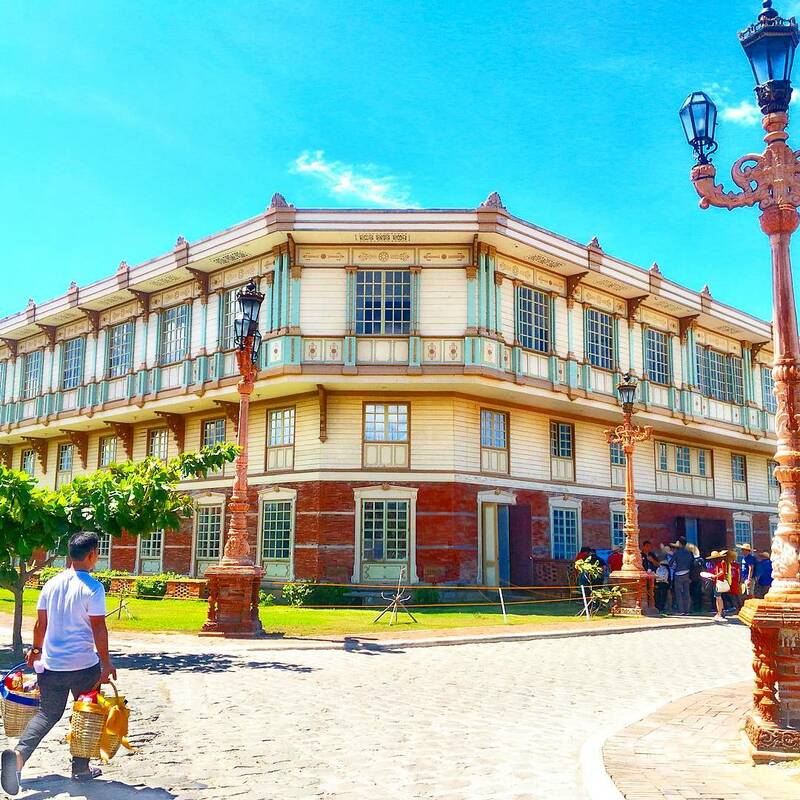 Visiting the Las Casas Filipinas de Acuzar will not be completed if you didn’t visit or check the ‘Casa’ or the heritage houses. These are the few casas that I got a chance to take a picture. Casa LaDrino is one of the most eye catching houses that you will see in the heritage resort. It has this red brick exterior with a design that is seems like from foreign countries. It is not part of the heritage tour though but served as one of the resort’s hotel. Thanks to natural sunlight for the perfect lighting. The Casa Hagonoy is one of the first houses that you will be allowed to enter during the heritage tour. It is a wooden house with a very relaxing balcony. All the visitors, same as the rules applied in every casa, are required to take off their shoes, a Filipino tradition which is done as a sign of respect to the house owner. The beautiful Casa Hagonoy with some plants on the its balcony. A perfect venue for wedding or prenup shoot! While this church is still under construction inside, it is interesting to note that they are slowly and intricately bringing the iconic replica of Santuario De San Jose back to its former glory. Hotel 1882 – 1991 is another hotel on heritage park that is just few meters walk from the entrance. 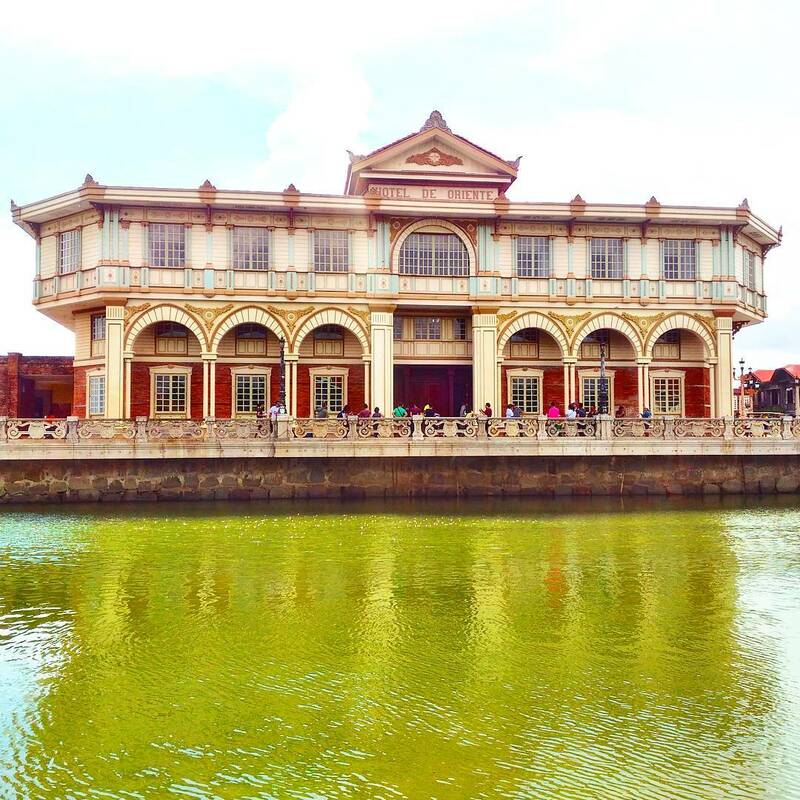 Feel free to left a comment if you want to share something about my travel adventure on Las Casas Filipinas de Acuzar. Thanks for appreciating my post Rachel. Yes. Las Casas is a wonderful place.